Steve Graff joins National Nail as Director of Distribution, where he will lead the Distribution and Operations teams of National Nail to best disseminate its brands nationwide, including PRO-FIT® Fasteners, CAMO® Edge Deck Fastening, and STINGER® Roofing Systems. 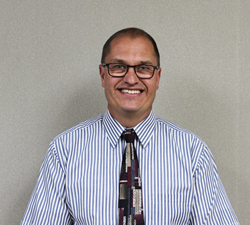 Steve Graff has been named Director of Distribution for National Nail based in Grand Rapids, MI. Steve Graff has recently joined National Nail as Director of Distribution. In his new position, Graff will lead the Distribution and Operations teams of National Nail to best disseminate its products nationwide, including products of its proprietary brands CAMO®, PRO-FIT®, and STINGER®. Graff most recently worked for an automotive remanufacturer of transmissions and engines for several large original equipment manufacturers where he oversaw the warehousing operations, transportation and a portion of the company’s production scheduling and repackaging. Prior, Graff gained years of distribution expertise at companies including Quality Edge, ODL, Huttig and Georgia Pacific. Graff and his wife Nancy have four children and reside on their farm in Rockford, MI, where he enjoys working on old cars in addition to tending to the family’s farm and its animals. National Nail Corp., headquartered in Grand Rapids, Mich., is an employee-owned manufacturer and distributor of high quality, innovative building products and service solutions for the residential and commercial construction industries. National Nail brands include PRO-FIT® Fasteners, CAMO® Edge Deck Fastening, and STINGER® Roofing Systems.